READY TO MOVE IN! This unparralled modern estate set on a full acre offers true resort style living. Lush landscaping, outdoor terraces and living spaces, an infinity pool and a tropical cabana with an outdoor kitchen. Equally luxurious in the inside with top of the line features and finishes. A MUST SEE! AN ADDITIONAL ONE ACRE AVAILABLE NEXT DOOR TO THE WEST SIDE. 2016 Construction in exclusive 24 hr. guard gated Old Cutler Bay. This stunning home features 140 ft of WF, No fixed bridges, summer kitchen, outdoor shower, infinity pool. Interior details include Lutron/Sonos system, marble floors, elevator, wine cellar, wet bar, open sun drenched spaces with vol.ceilings, formal dining/living room. Master suite with gorgeous bath, his/her walk in closets, adjoining balcony with fireplace overlooking the pool/bay area. Close to the Best Schools, Airport, Downtown areas. Live in your own private oasis in this spectacular fully-furnished, completely remodeled, dream home. 1 of only 8 homes on exclusive Fisher Island. This contemporary home features 5 elegantly furnished bedrooms and 5.5 beautiful bathrooms clad w/imported white quartz & marble showers. Formal LR & DR, eat-in kit w/ family room & an addl upstairs FR make this home perfect for family living or entertaining guests. Every detail throughout is finished to perfection. 3 gar,2 golf carts inc. Turn-key-A must see! 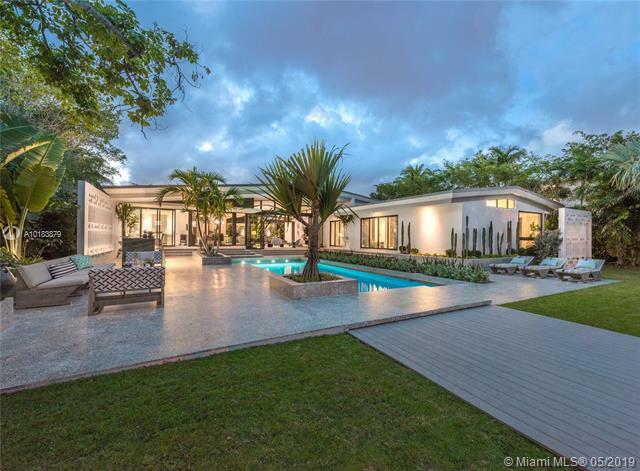 Exceptional Mid-Century Modern masterpiece signifying extravagant Miami Beach lifestyle. Two-year renovation orchestrated by French architect/designer Jean-Louis Deniot. Custom terrazzo floors, vaulted 14 ft ceilings, 2 marble wet-bars, fire feature, total sliding glass doors front & back gives the space a feel of endless fluidity. 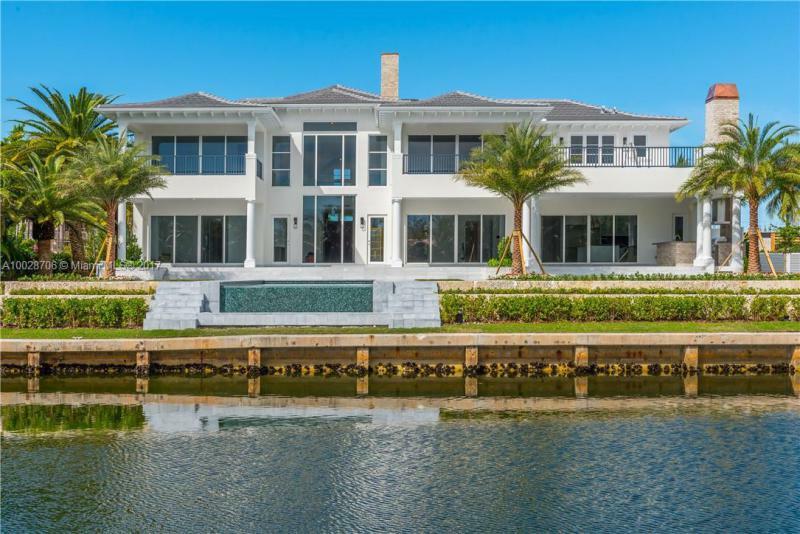 Modern kitchen, Wolf & SubZero, Dornbracht, Waterworks, Lutron, security cameras, heated pool, new dock, seawall are few of the features of this spectacular home w/ 100 ft WF. Very rare and valuable consisting of 3051 Acres on the main hwy BR 106 which connects South and North of Brazil. The property features and abundance of water, 2 rivers, waterfall of 35-40 ft high, 3 lakes with the largest lake stocked with Tilapia fish. P roperty contains 247 acres Eucalyptus trees & 247 acres of pastures. Property has 400 cows & 100 calves which produce approx. $7,000 in monthly milk revenue. In addition there is also $15,000 monthly revenue in bulldozer work. Beautiful private house.. Located in Pinecrest land of superlatives, 9BR/10BA/3H, contemporary estate is a stand-out. Notably situated on oversize lot. Extraordinary features: Separate 1BR/1BA guest home wit separate entrance, Infinity edge pool, waterfall, Lily pond, Italian garden, 2 summer kitchens, 1100L gas tank, 75K generator, Full smart home, state of the art movie theater - 15 seats, wine cellar - 1200 bottle, Lutron, Crestron security equipment with cameras, La Finestra windows/doors and more. Offered furnished at $9.7 M.
Build your dream home on this perfectly located waterfront lot with a private dock and boat lift on coveted Sunset Island. 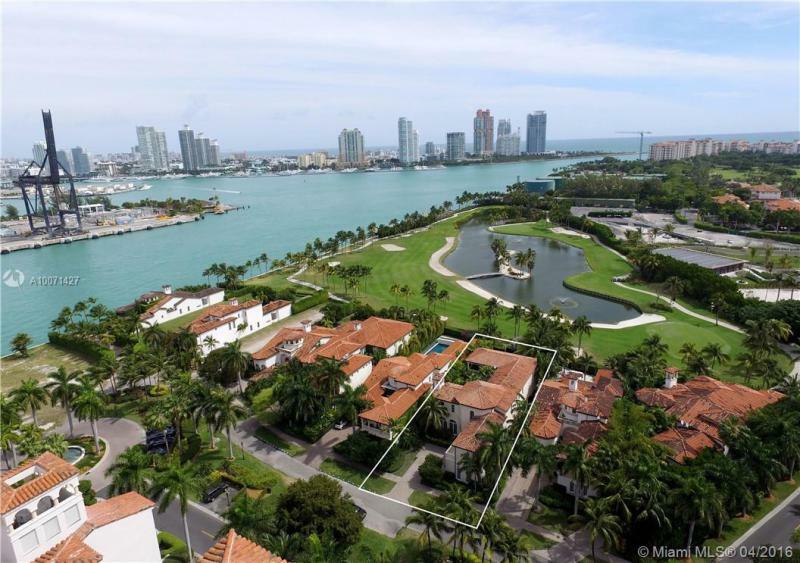 Enjoy unparalleled open water views and the stunning downtown Miami skyline on this 13,636 SF lot. Featuring 82 +/- direct waterfron t perfect canvas for building a dream estate to enjoy Miami Beach luxury living. Rare Estate lot on Island at Admirals Cove! Awe-inspiring 3 BD/3 BA/2 HALF construction completed in 2016 by DesRosiers Architects boasts sophistication & refinement on the idyllic setting of Commodore Island. This new French Chateau masterpiece features over 7,000 SQFT under air & 110FT of deep water frontage. Smart home w/ fine finishes, windows imported from La Cosa Nostra- Italy, Calacatta gold marble floors, high end luxuries w/ world class interior designs by world renowned Perla Lichi & much more!